If you are just a beginner web, you probably are not familiar with many of the terms, connected to the Internet. One of these terms is a File Transfer Protocol (FTP), which translates as File Transfer Protocol. 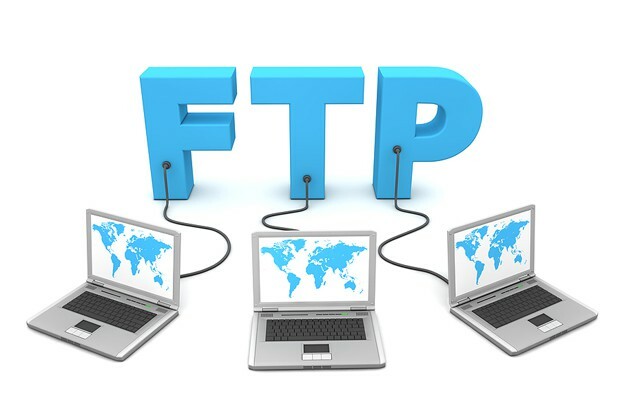 Next, a more accessible language, we try to understand, What is FTP. FTP-server is used to store data with a large volume and is presented as a kind of library files. Transfer of files between servers and the computer takes place via FTP. Each FTP-server requires the user to pass authorization, without which there is no access to information. For unregistered users, there is the possibility of anonymous (guest) entry. To do this in the column named user types the keyword "anonymous", and acts as a password e-mail address, then the data access and directory server will be opened. Work with FTP-servers in this way is called anonymous FTP. In this access mode, the user can view server folders and download them to your hard drive. Besides, on some servers are special directories for users, I want to upload personal files. There are many different programs to work with FTP, among which the most common and simple client program is any browser. But, Unfortunately, using only a browser is often not very convenient. Therefore, to access the FTP-server, developed specialized programs, called FTP-client. One of the most popular programs is considered FilleZilla, which provides a convenient work with FTP and FireFTP. With it the user opens access for downloading and uploading data on different FTP-servers. The program is very easy to use, It has an easy and intuitive interface, and can also operate in accordance with various operating systems. Moreover, having an extremely handy feature resuming of interrupted file, It allows to continue downloading from the place, where open communication with the server has occurred. Now it is much clearer, What is FTP. In other words FTP-server, as a remote computer, which has its own file system. It is possible to create, copy, insert and delete files, editable. But do not forget, that the opening of such a file server, downloading to a computer is automatically.